American Society of Cell Biology Meeting Come see us at the American Society of Cell Biology Meeting December 2-6 in Philadelphia, PA.
Thursday September 21, 2017 Refine Technology is pleased to announce the release of its new CORe™ Mini Bioreactor. The CORe™ Culture Optimization Compact, stand-alone Culture Optimization Reactor system. Reactor is a stand-alone and cost effective bioreactor system that is compact and flexible in design. The convenient on-board controls and touch screen display eliminates the need for a bulky external controller thus saving valuable bench space and facilitating ease of portability. The unit can be operated on a bench, in a laminar flow hood or even on a desk. Data is easily exported via an ethernet connection into common analysis programs. The addition of multiplexing capabilities will be forthcoming. The pre-sterilized single use vessel offers a working capacity of 35-100ml which allows significant savings in media costs without compromising performance. Sensors for temperature, pH and DO are all in wall, minimizing contamination risks and interference from the inserts. The only product contact surface is the impeller and shaft which also contains the sparger allowing for gas additions including O2, CO2, N2 and air. Various impeller and sparger designs may be custom ordered to fit user requirements. The CORe™ Mini Bioreactor includes four pumps with an option of up to eight pumps for flexible media handling. Sampling can be performed from both top and bottom ports which facilitate access to and from the vessel. They also provide a convenient connection to a cell concentration device. It can be configured for batch, fed batch or continuous operation. Please join us on September 26-28 at Biotech Week Boston. Systems will be on display at booth #1124. 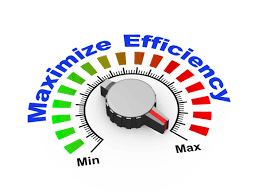 Are you maximizing single use efficiency? ISPE -CaSA Life Sciences Technology Conference Come see us at the ISPE -CaSA Life Sciences Technology Conference next week on March 14th to learn more about our CleanLine 1.5″ Single Use Connector! Booth #116.